The purpose of this role is to develop well-rounded future talent with construction expertise across multi-disciplines – ultimately creating professionals with experience in the full scope of construction management. Specifically, this role assists and supports Field Operations and/or Estimating functions in achieving their respective goals and objectives. This role contributes to several facets of construction (project management, field operations, estimating). - Actively supports estimating and field operation goals and objectives through completing technical/ administrative projects on time, providing ongoing support, and proactively resolving challenges and issues. Uses customer feedback to make improvements to day-to-day processes and procedures. - Collaborates across department and supports consistent Field Operations and Estimating practices and administrative procedures. Adheres to policies, procedures, and standards that protect the company’s interests. - Promotes, and protects Teichert Construction values including diversity, teamwork, fair work environment, and respect of others. Maintains a “team” spirit within the business unit. Works and cooperates with other disciplines (across company lines). Uses resources effectively and efficiently. - Promotes and protects the community perception of Teichert. - Assists in achieving a zero injury culture through the support of Teichert’s Injury Prevention and Safety program and active participation in safety meetings and training sessions. Proactively identifies, and communicates, safety improvements and hazardous/potentially hazardous conditions to maintain a safe, healthy work environment and meet corporate safety standards. - Completes assignments and tasks on time, accurately, and meets customer expectations. Specifically, collaborates with Project Managers, Superintendents, and/or Estimators in circumventing and resolving problems, and ensures adherence to, and maintenance of, company/project policies, procedures, work rules, schedules, and standards and in monitoring work performance and productivity of the Craft labor workforce. - Provides support, and assists, in coordinating resources for assigned projects. Specifically, may independently identify problems pertaining to checking labor, equipment, and materials for accuracy pertaining to the job and makes suggestions or implements solutions; coordinate subcontractors and suppliers; order and schedule material for assigned jobs; and/or build GPS models on the computer for the field. - Assists Estimators in performing material takeoffs via validating work submitted by Take-Off Techs and exercising discretion and judgment with resolving miscalculations and/or job related issues. Specifically, occasionally may gather, calculate, and compile data for uses in bid proposal estimates for one or more disciplines. In addition, may develop guidelines and precedence for future estimates through researching historical data and compiling summary reports. - Accurately prepares estimates, as required. Exercises discretion and independent judgement in reviewing proposal specifications and drawings to determine scope. Determines required contents of estimates and evaluates historical data in order to project unit and man hour figures. - Builds and maintains positive working relationships with internal and external customers. Communicates company and project policies, procedures, and standards. Maintains a favorable impression of the company with external customers through professional and courteous interactions. - Completes internal administrative organization responsibilities and documentation, including project logs, files, records, reports and estimates. Develops and creates diaries, submittals, RFI’s, contracts, permits, price quotes, purchase orders, work orders, invoices, traffic control plan design, and quantity take-off materials. Assists in developing written Construction Program guidelines relating to Teichert polices. 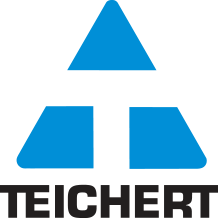 - Takes ownership of managing career, professional growth, and contribution to Teichert Construction. Works closely with engineering services, field operations, and/or estimating on work performance and productivity. Gains exposure, and contributes to, multiple areas of the company. Communicates personal and professional goals and objectives, with the ultimate result of progressing from a Project Engineer into an Engineering Services, Field Operations, or Estimating role. - Valid Driver’s License and the ability to obtain and maintain the required company auto insurance limits.